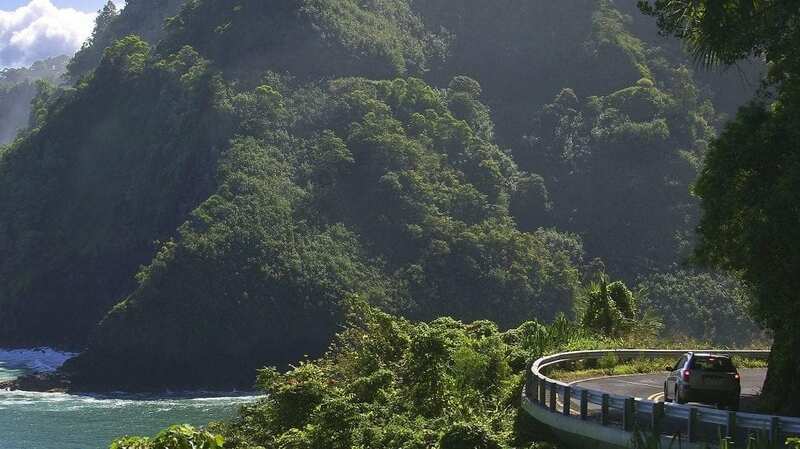 Travel the Road to Hana. The Hana Highway winds along the eastern shore of Maui and is home to breathtaking views of the ocean, rocks, and surrounding foliage. This windy and exhilarating road will take travelers past lush forest reserves, quaint towns, and fresh food stands. The Wailua Falls is a popular spot along the way– park in the convenient parking lot and enjoy the swimming pond beneath the scenic 80-foot waterfall. Explore Wai’anapanapa State Park. 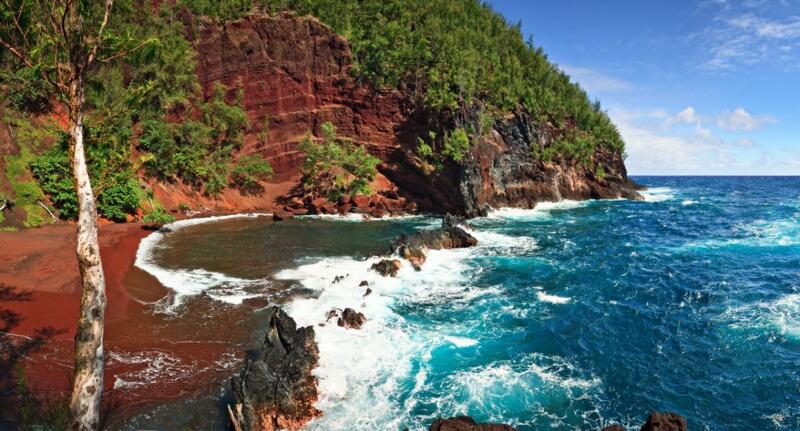 After arriving in Hana, travelers can enjoy the remote volcanic coastline of Wai’anapanapa State Park. 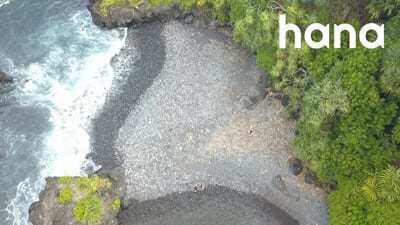 Explore the beautiful black sand beach, as well as an ancient coastal trail, natural stone arch, and unique sea caves. The park is also an excellent place to picnic, relax in natural solitude, and spot a variety of native seabirds. Learn about Maui’s History and Culture. State Parks, like Haleki’i-Pihana Heiau and Wai’anapanapa (above), feature temples called heiau, as well as descriptions of landmarks of historical importance. Lahaina offers a free historic tour, and visitors can also enjoy the shade of the storied banyan tree while in town. The historic Wailuku District and Whalers Village both show insight about the island’s history. Chat with locals and attend social events to engage in Maui’s fascinating culture and traditions. Take a Scenic Hike. At the Polipoli Recreation Area, an extensive trail system provides for adventures of different scenery and difficulty, depending on the traveler’s interests. Iao Valley, on the north-western area of the island, offers hiking trails with stunning views of the West Maui Mountains and the surrounding ocean. Twin Falls, along the road to Hana, is another incredible hiking destination with the option of a shorter, easier hike, or a rougher trail, both leading to waterfalls. Relax at the Beach. Maui provides a variety of free beaches for any traveler’s ideal beach day. Ka’anapali Beach provides crystal clear ocean along with many close amenities, such as dining, shopping, and beach rentals. The beach at Makena State Park is excellent for body surfing, board surfing, shore fishing, and a variety of other beach activities. Kapalua Bay is the perfect tranquil location for snorkeling, sunbathing, and swimming. Enjoy the sights. Depending on the season, travelers may see sea turtles or whales from a number of points around the island. 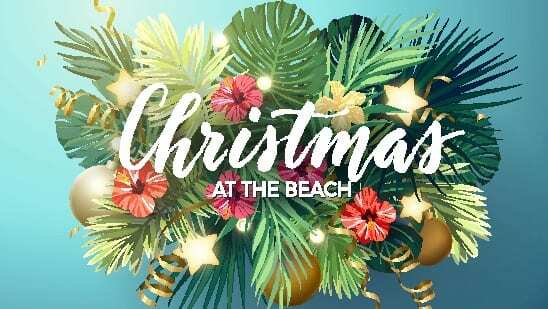 World-renowned surfers cut through the waves and provide entertainment for beach-goers, as well. 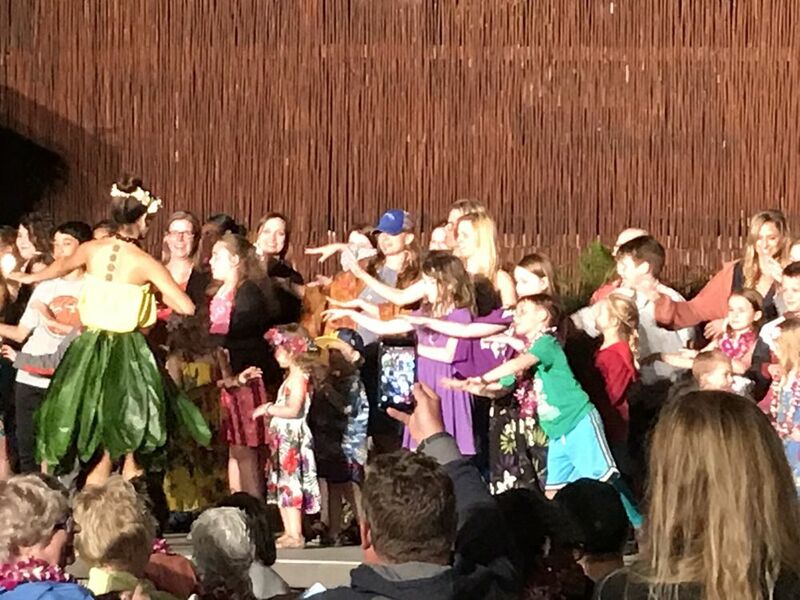 Travelers can also watch the sunrise (or set) over the ocean from the beach, the mountains, and (for a small fee) from atop the 10,000 foot Haleakala volcano. Simply driving or walking around the many towns, trails, and shorelines of Maui is an entertaining and relaxing experience.